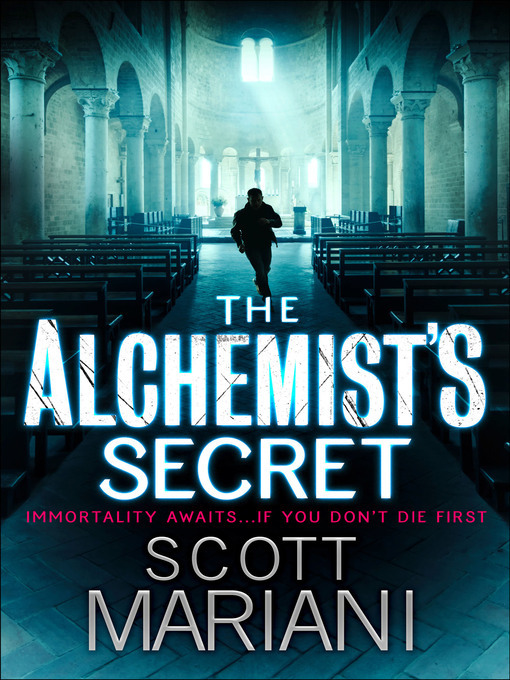 The item The Alchemist's Secret : Ben Hope Series, Book 1., Scott Mariani, (electronic resource) represents a specific, individual, material embodiment of a distinct intellectual or artistic creation found in Okanagan Regional Library. FROM THE INCREDIBLE #1 BESTSELLER BEN HOPE LIVES ON THE EDGE. A former ?lite member of the SAS, Ben is tortured by a tragedy from his past and now devotes his life to finding kidnapped children. When Ben is recruited to locate an ancient manuscript which could save a dying child, he embarks on the deadliest quest of his life. The document is alleged to contain the formula for the elixir of life, discovered by the brilliant alchemist Fulcanelli decades before. But it soon becomes apparent that others are hunting this most precious of treasures - for far more evil ends. When the secrets of alchemy hidden within the pages remain impenetrable, Ben teams up with beautiful American scientist Dr Roberta Ryder to crack the code. It seems that everyone - from the Nazis during WW2 and powerful Catholic organisation Gladius Domini - wants to unearth the secrets of immortality. The trail leads Ben and Roberta from Paris to the ancient Cathar strongholds of the Languedoc, where an astonishing secret has lain hidden for centuries... BEN HOPE is one of the most celebrated action adventure heroes ever and SCOTT MARIANI is one of the most successful home grown thriller writers of all time. Join the MILLIONS of readers who get breathless with anticipation when the countdown to the new Ben Hope thriller begins .. The Alchemist's Secret : Ben Hope Series, Book 1. Ben Hope Series, Book 1.